Only two Midi-Ratsches were built by Georg Mahr as a custom work done on request by Hajo Liese and me. 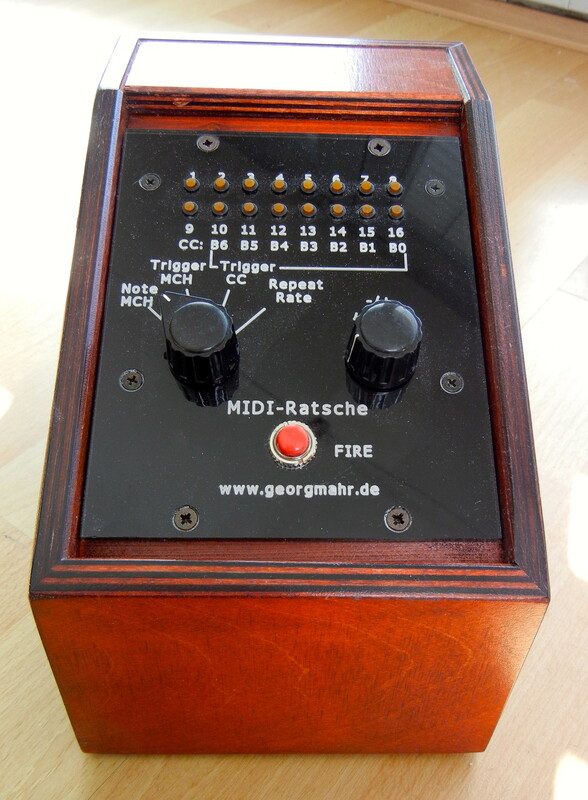 The Ratschet is triggered by either Midi CC with selectable CC# and channel, a connected footswitch or manual using the red button. The last played note passing through it on the selected MIDI channel will be ratched by the set adjustable tempo and not by MIDI clock. So you may get more interesting results and not machine like repetitions.